Over the last thirty years the study of regional innovation systems has been one of the most prolific areas of economic thought. Economic studies have progressively acknowledged the territorial dimension of industrial development and technological innovation shifting the focus from the national to the regional and local dimension (Muscio, 2005). Great emphasis has been put on “bottom-up” processes of economic development, such as on the conditions generating geographical clusters of innovative firms and research centres, and on the impact of incubating facilities on regional capacities to create innovative start-ups. Central to the argument in favour of cluster development is the concept of knowledge spillovers, which are a fundamental source of innovation (Baptista and Swann, 1998). The ease with which knowledge is communicated at the local level has been proposed as a general explanation for the existence of clusters and for their sustained economic success (Malmberg and Maskell, 1997; Maskell, 2001). Clusters often entail strong interactions between several actors systematically engaged in interactive learning (Asheim and Isaksen, 2002; Cooke, 1998; Morgan, 1997) and benefit from knowledge externalities of local research centres, which are usually engaged in continuously renewing the local innovation ecosystem. The economic relevance of clusters in several countries has stressed how local policies can play a key role in fostering learning processes. Local innovation policy initiatives can support technological cooperation, the creation of business networks, business incubation and start-up, staff training and, thanks to the exploitation of agglomeration economies, the identification of collective needs, common opportunities and promote collective action. European policy has long acknowledged the importance of clusters and the need for nourishing innovation ecosystem for the purpose of regional development and competitiveness. Several European regions and countries have in the past promoted two programming periods initiatives in the area cluster development. In terms of theoretical framing, these initiatives can be roughly framed in two bodies of thought: regional economics and economics of innovation. Although the overlapping between these two areas is frequent (Muscio, 2006), while initiatives appealing to the first framework see the promotion and strengthening of geographical agglomeration of SMEs in all manufacturing sectors, the latter type promotes technological bottom-up processes, kick-started by research and support institutions (TTOs, incubators, etc.). Accordingly, the RIS Guide (EU, 2012) sets as one of the four key leading elements (four ‘Cs’) of a RIS3 design process, which can help in defining the novelties introduced by smart strategies when compared to past experiences, the area of “Connectivity and clusters”. The EU invites regions to: “develop world class clusters and provide arenas for related variety/cross-sector links internally in the region and externally, which drive specialised technological diversification”. Most existing clusters are market-driven phenomena. They emerge without the help of specific policy, as a result either of the spontaneous accumulation of competitive advantage or simply by chance. However, evidence of their positive impact on regional performance has attracted policy-makers and led to formulation of cluster policies to foster or replicate their development (Oxera, 2005). Since the resurgence of local development models, almost every country in Europe has adopted specific strategies for cluster development (Council on Competitiveness, 2007; European Commission, 2008b; OECD, 1999). The EU, while encouraging Member States and regions to promote strong clusters as part of their economic reform strategies, has revised the State aid framework allowing certain targeted support measures for cluster development, and has launched a series of initiatives to improve cluster policies, favour trans-national networks, promote the excellence of cluster organisations, and improve the integration of innovative SMEs into clusters (European Commission, 2008a). To understand the similarities and differences among these policies we need to consider a variety of features. First, if we define a cluster initiative as all the practical (conscious) cluster strengthening actions taken by private business, public bodies and academic institutions within a regional and sectoral system (Solvell et. al., 2003), not all cluster initiatives are necessarily based on a formulated cluster policy. Actual cluster policies differ primarily in their scope. They include framework policies and specific cluster programmes. While the former sets general political objectives through publication of strategic policy documents (i.e., White Papers), the latter allocates funding and organisational responsibilities and defines specific rules for participation in the programme. the performance analysis of research systems and intermediate institutions. In the last 20 years we have witnessed an important development of infrastructures created to assist the formation and development of new high-tech ventures (incubators, techno-poles, science parks and so on) and/or manage clusters. Economics and management literature on the topic has tended to focus on the determinants of human capital (HC) (e.g. entrepreneurial capacity development in founding teams) and of financial capital (formal and informal networking assets) (Hackett and Dilts, 2004), paying less attention the importance and the development of relational capital and in the role played by incubators. Systematic efforts in establishing and cementing links between local universities and businesses combined with other factors, such as support for technology transfer, early financial and technical support for new ventures is regarded as central to the development of clusters (Saxenian, 1996). In this respect, relational and cultural components are important for developing intensive science and technology intensive clusters, but it is difficult to exploit and measure these elements (Lazzeroni, 2010). It follows that cluster monitoring has generally focused on quantitative business indicators. In fact, the analysis and measurement of the internal and external relations of a cluster often requires specific case studies (see Saxenian, 1996; Bresnahan and Gambardella, 2004). According to this, the RIS3 Guide (EC, 2012) identifies cluster case-studies among the several methods that can be used to support the identification of potential niches for smart specialisation. The EC encourages the preparation of ‘Cluster’ in-depth qualitative case studies on activity domains where a region shows relative specialisation. A report developed since the late 1980s from Oxford Research covering 150 cluster programmes in 31 European countries, identifies a series of characteristics that might identify a cluster programme (Oxford Research, 2008). They include geographic coverage, policy area in focus, cluster lifestyle orientation, target groups, attention to SMEs and R&D, modality of selection, source of funding, type of support, and features of the cluster organization. Policies can be designed and implemented at local, regional or national level, with national programmes generally having a wider focus. Geographic coverage and also authority (responsibility for implementing the policy) vary. Cluster policies are designed mainly to promote innovation. In their policy sector focus, nearly half of European cluster programmes are related to industry and enterprise policy or science and technology policy and only one in four programmes is related to regional policy. All European cluster programmes are aimed at private businesses, with a particular focus on SMEs. The other major target group is research institutions and most cluster policies include measures supporting R&D. Finally, although cluster programmes do not always focus on clusters in a particular lifecycle, around half are aimed at emerging and embryonic clusters, which tend to be the most innovative. As stressed in the analysis of mapping RIS3 methodologies, around one third of the reviewed regions have set up a dedicated networking/cluster platforms to drive/support RIS3 governance. Equally, also almost one third of the mapped regions have used online stakeholder forums and discussion boards in the RIS3 design process. Clusters and other organised interest groups have been included in stakeholder consultation workshops by almost 80% of all mapped regions. Among the online tools employed, various EU level and international platforms are mentioned, including Business Innovation Observatory, European Cluster Excellence Scoreboard, Global Innovation Index, Global Competitiveness Index. Austrian and German regions in particular have made use of their cluster platforms in the RIS3 design process. In several cases the selection process is top-down, being the outcome of specifically targeted regional and national policy initiatives. However, most often the selection and definition process is bottom-up oriented. Not all clusters involve a managing organisation, and sometimes businesses simply rely on the managing efforts of local industry associations. Overall, cluster monitoring and data collection is easier in those cases where a managing organisation is present. However, quite often, endogenous clusters (i.e. those clusters generated by pure bottom-up development processes) lack these kinds of organisations. While quantitative data still represent the best part of information used to monitor clusters, little attention has been paid to social aspects, mostly because of the difficulties in collecting reliable data. Social aspects are key, not just in monitoring the intensity of “co-opetition” at the local level, but also to determine the durability, the leveraging of resources and the overall impact of eventual cluster initiatives. In fact, as suggested by Schmiedeberg (2010) and Giuliani and Pietrobelli (2011), a cluster can be conceived as a social network of vertices (cluster members) and edges (relations among cluster members) and social network analysis is recommended (Wassermann and Faust, 1994) to evaluate clusters. The use of cluster and incubator mapping tools would lead to a better definition of those niches in which regions have a competitive advantage, and a better definition of local business needs. This would allow more considerate development of future research and innovation policy, promoting targeted initiatives (i.e. research collaboration agreements, training of human capital, creation of competence centres, business start-up schemes in specific fields, PhD scholarships or technical schools), unveiling potential areas of integration with local research institutions and helping to avoid duplications and redundancies. Support for clusters and for the creation of innovative eco-systems is an important element of innovation policy with an increasing number of national and regional plans promoting not just cluster creation and support schemes but also R&D projects in collaborative networks. This is promoting a need to monitor and assess clusters and the effectiveness and efficiency of these policies. Several methods and techniques have been proposed, but standardised approaches have not yet emerged. easing the process of innovation diffusion and tackling societal challenges. Information about ongoing (regional and national) support policy schemes. 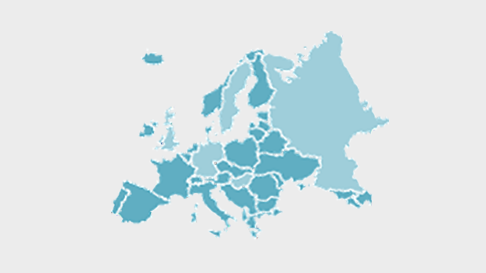 The European Cluster Observatory provides information, mapping tools and analysis of EU clusters and cluster policy. It also informs about events and activities for clusters. The CIS is a survey of innovation activity in enterprises. The harmonised survey is designed to provide information on the innovativeness of sectors by type of enterprises, on the different types of innovation and on various aspects of the development of an innovation, such as the objectives, the sources of information, the public funding, the innovation expenditures etc. The CIS provides statistics broken down by countries, type of innovators, economic activities and size classes. Appropriate geographical classification of data can provide useful information on technological specialisation of clusters and their innovation performance. PATSTAT contains bibliographical and legal status patent data from leading industrialised and developing countries. This is extracted from the EPO’s databases and is provided as raw data or online. The Red database was developed and is constantly updated by Ismeri Europa. The database contains regionalised (NUTS2) information on FP7 project budgets, type and name of partner organisations involved, geographical location of partners and key research areas and technologies developed through the projects. As FP7 projects are classified by CORDIS by call, Ismeri developed a classification of some 150 enabling technologies promoted by the FPs with the support of a peer review process led by experts in each technology field. Survey data remains the most appropriate source of information on contexts such as clusters, which rely heavily on social capital and intangible assets. Develop concise online guidance material that explains how best to exploit cluster mapping for RIS3 development. See Community Strategic Guidelines on Cohesion for the period 2007-2013. In the Community framework for State aid for research and innovation (C 2006/C 323/1) section 5.8, Aid for innovation clusters’ lays down specific rules for investment aid and operating aid to promote clusters. In 2005 more than 1,400 cluster initiatives around the world were identified, implemented mainly through a bottom-up approach and managed by specialist cluster organizations (Ketels et al., 2006). Cluster policies can be distinguished according to their policy objectives: facilitating policies which target the elements of the microeconomic business environment to increase the likelihood of clusters emerging; traditional framework policies which use the cluster approach to increase the efficiency of specific instrument such as industry and SME policies, research and innovation policies, and regional policy; development policies, aimed at creating or strengthening a particular cluster (European Commission, 2008a). Only the last ones can be defined as real cluster policies (See also Landabaso and Rosenfeld, 2009).